Shelter—it was such a basic need, and one that single mom Ashley Churchill had always been able to provide for her little girl. Until her luck turned, and the only protection she could find was in her stony and taciturn boss, security specialist Jeff Ritter. Jeff warned he was only offering to share his home, not his life, and that suited Ashley just fine. She would make it on her own. 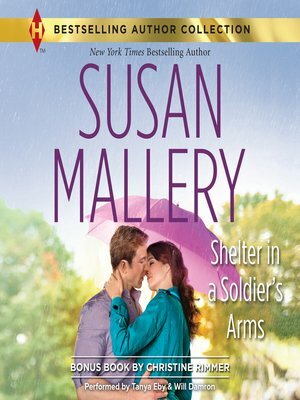 And yet, Jeff's broad shoulders were oh-so tempting to lean on, and in his arms, Ashley found a whole new kind of shelter—a home. But no matter how close they became, Jeff always barricaded a part of himself away. And Ashley wondered if he could ever allow himself to come in from the storm and find his own shelter...with her. Pain and loss had consumed the Donovan McRae that Abilene Bravo had known. She couldn't erase his past, but she just might be able to give him a future.